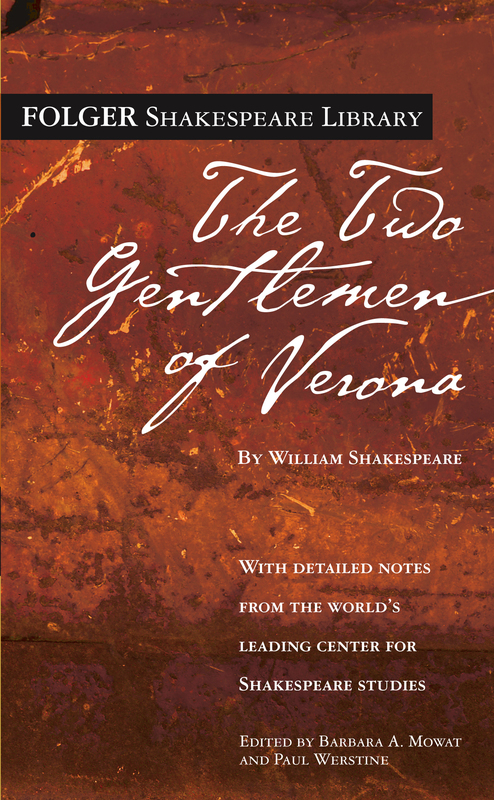 While the word “gentlemen” suggests that its heroes are adults, The Two Gentlemen of Verona is more intelligible if we think of them as boys, leaving home for the first time. One has a crush on a girl, Julia, though he hasn’t yet told her. Sent to court to learn to be “perfect gentlemen,” Valentine and Proteus are derailed by their attraction to Sylvia, the ruler’s daughter. Valentine’s mental denseness does not deter Sylvia from returning his love, but he is caught, and banished, when he tries to elope with her. Proteus’s desire for Sylvia wipes out his former love, leading him into despicable acts that win scorn from Sylvia and wound Julia, who has pursued him disguised as a boy. When Sylvia follows Valentine into banishment, Proteus follows Sylvia, and Julia follows Proteus, the stage is set for a disturbing ending. But the stage is also set for the “gentlemen” to take small steps toward maturity.